It doesn’t take much of a stretch, even in a society obsessed with physical causes, to imagine that the mind would have something to do with heart disease. When we see people we care about driving themselves hard at their work or straining under constant emotional stress, we worry that they will damage their hearts. It is also common knowledge that people who have suffered heart attacks in the past should try to keep themselves emotionally calm. Nevertheless, the media and medical experts still focus their warnings primarily on the physical risk factors for heart problems – smoking, high-fat diets, lack of exercise, obesity, and so forth. So it’s natural to assume that those who take poor care of themselves physically are the ones at greatest risk. Not necessarily so. Of all the people who get heart attacks, only 30 to 40 percent have the traditional risk factors just mentioned. Clearly there must be other risk factors involved that don’t appear on the usual lists. This is not to say that the physical risk factors don’t matter. Indeed they do – they are called risk factors because those who have them are more likely to experience heart problems. But there is also such a thing as “protective factors” – aspects of a person’s psychological or emotional make-up or social situation that help insulate them from trouble even when they are seemingly undermining their health in every other way. Heart disease is probably a complex condition like cancer in which a number of things including lifestyle, psychosocial factors, and genes interact to produce a health problem. But as with cancer, it may be that emotional issues are the thing that tips the balance. In this chapter, we examine the evidence to see if we can discern a “heart patient personality,” just as we saw the outlines of a cancer personality in Chapter 5. As you’ll see, this is important not only in preventing heart disease but in reversing the illness if you already suffer from it. For over three decades, researchers have pursued the idea that so-called Type A personalities – hard-driving, ambitious types who feel constantly pressured by time, who overreact to even minor stresses, and who may also be hostile, aggressive, and compulsive – are heart-attack prone, especially when compared to more laid-back “Type Bs.” The notion garnered so much attention from the popular press that “Type A” has become part of common language, with all kinds of mistaken notions attached to it, including the notion that Type A behavior is an automatic red flag for cardiac trouble. The fact is that the research on Type As has yielded conflicting results. While some studies clearly point to an association of Type A behavior with heart problems, others show no correlation whatsoever, and one study in the 1990s even found that among heart attack sufferers, Type As had a higher survival rate. When researchers began looking more closely at the data, however, they found within the Type A personality a factor – hostility — that does point more clearly to heart disease risk. 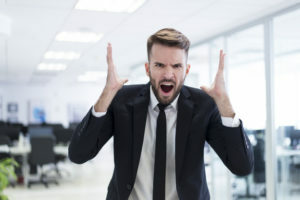 Hostility in the way the researchers are considering it embodies many qualities – anger, a chronically cynical or mistrustful outlook, aggression, an impulse to oppose other people, and a desire to hurt others. Hostility may be expressed outwardly, with verbal insults or even throwing punches, or it may be held within as angry, cynical, or suspicious thoughts and feelings. 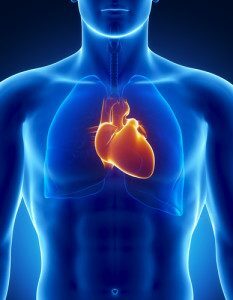 Studies do show a clear correlation between people who are outwardly hostile and heart disease risk; although the correlation is a little weaker, hostile feelings and thoughts also appear to increase the chances of heart problems. For instance, people with cynical or hostile attitudes or suppressed anger are both more likely to have atherosclerosis and blockage of coronary arteries and more likely to have heart attacks. In one study, 255 physicians were given a battery of psychological tests when they were students at the University of North Carolina Medical School and then followed for the next 25 years. Those who had scored higher on the hostility scale had four times the incidence of heart disease. Yes, it’s true that hostile types are more likely to smoke and drink, which also increases heart disease risk. But even when researchers “control” for these factors – that is, use statistical techniques to make sure the factors weren’t tilting the data — hostility still shows up as a warning sign of future heart trouble. Just as hostility is a part of the constellation of Type A behaviors, there are probably some aspects of hostility that are the real “toxic” factors as far as heart disease is concerned. Researchers hope to hone in those factors in coming studies. But in the meantime, current research suggests that if you can find a way to release your anger and hostility without hauling off and popping someone in the mouth or having it turn you sour on the inside, your heart will be much healthier for it. I believe the best approach is to recognize the hurt feelings that usually exist just below the anger, and if people acknowledge the anger and then look to express the hurt, then the damaging effects of anger are avoided. We will look at this issue later in the chapter.